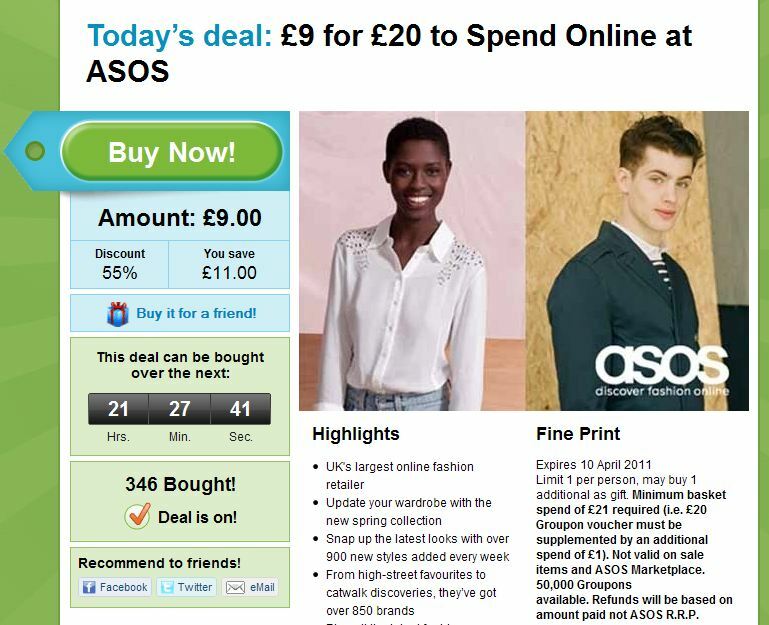 Fancy spending £9 to get a £20 spend online at ASOS? That NARS eyeshadow duo you had your eye on? Well… with this deal, it’ll cost a meagre £12.50 instead of £23.50 – can you say bargain? You can’t get a deal like that on counter (unless you rob it). Let me know what you buy if you decide to nab the deal! * this post contains affiliate links – I will earn commission from any sales made via these links. Oh dear – one day too late. I gave up Asos for lent as I was developing a serious issue! I’m pretty sure this would count as breaking my ‘fast’ and to do so on the first day would be a bit lame! Just ordered it! A bit confused as to what to do next?? Will have to scout around the web. Oh never mind just got my confirmation email! Yay got mine for £3 too. Can’t wait to indulge a lil over the weekend and have a good ol’ browse on ASOS! I’ve already got my bag sorted… My first OPI and Essie polishes as I couldn’t justify a tenner each before this deal! Plus a sneaky Models Own one as well since the total came to like £20.50 and it has to be at least £21 to qualify for the deal. I’m not complaining though! Oh man, I only just placed an order yesterday as I had a £5 off £20 code! There isn’t really anything else I want right now. Boohoo. Wouldn’t it make the Nars blush £3.50 and not £12.50? call me stupid, but i don’t understand what to do, do i create an account or what? someone please enlighten me, many thanks! I would have assumed that they’re not sending out the vouchers until the day after the offer closes. It’s just closed an hour ago or so…. I don’t believe that anyone has their vouchers yet, don’t worry.